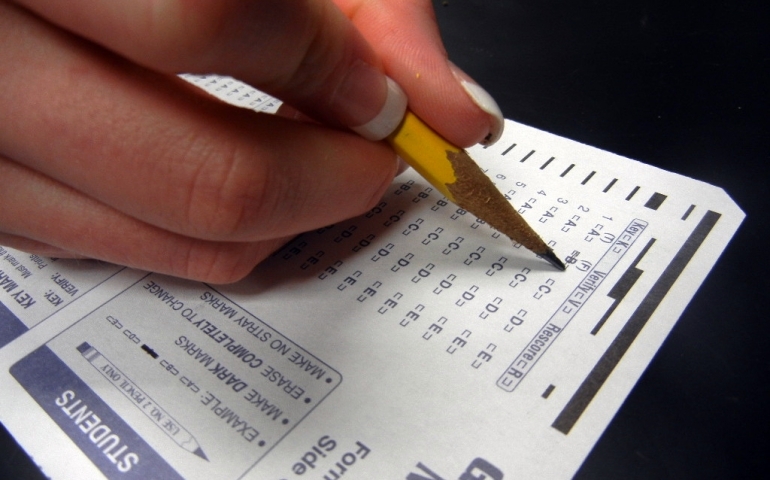 Standardized testing is something every child and teenager eventually experiences in the American school system. These tests can have an interesting and powerful impact on students especially of minority races, lower incomes and different cultural backgrounds. There was a study done by Laura-Lee Kearns at St. Francis Xavier University that took an in-depth look at standardized testing. The study looked at a group of students in Ontario, Canada that had failed the EQAO. According to Kearn, the EQAO was created to make the school system responsible by making sure kids graduate and become better prepared for life. Kearn selected students that had failed the EQAO and interviewed them individually. The students were asked a series of questions about the test, such as how they did on the standardized test and how it made them feel. What Kearn found was that most students who had taken the test were surprised to see they had failed. Some of the students went on to report the testing made them feel like they couldn’t continue with school, and they wouldn’t go to college. This was all reported despite the fact that the students had high marks in their classes. The author concluded that the general consensus of the students was that the test was not helpful and not reflective of their knowledge. Kearn also went on to say that the school system offers no ability for students to have a voice in how they are tested. According to this research, the effects of standardized testing can have a long-term impact on students if they fail . If students feel like they can’t pass a test that every other student is pitted against, their world focus becomes smaller. The test result is supposed to be a reflection on how well they will perform in a competitive world. The conclusions of this study leaves a lot left for future development. According to the author, it opens the door to take a closer look at the student body, marginalized youth and how they test in other parts of the world. This study can be continued over various other standardized tests as well as have a look at performance versus actual knowledge. As time goes on, the author has no doubt that standardized testing will come under a larger microscope. Kearns, Laura-Lee. “High-stakes Standardized Testing and Marginalized Youth: An Examination of the Impact on Those Who Fail.” Canadian Journal of Education / Revue Canadienne De L’éducation 34.2 (2011): 112-30. Web. Prev PostHow Are You Paying For College?